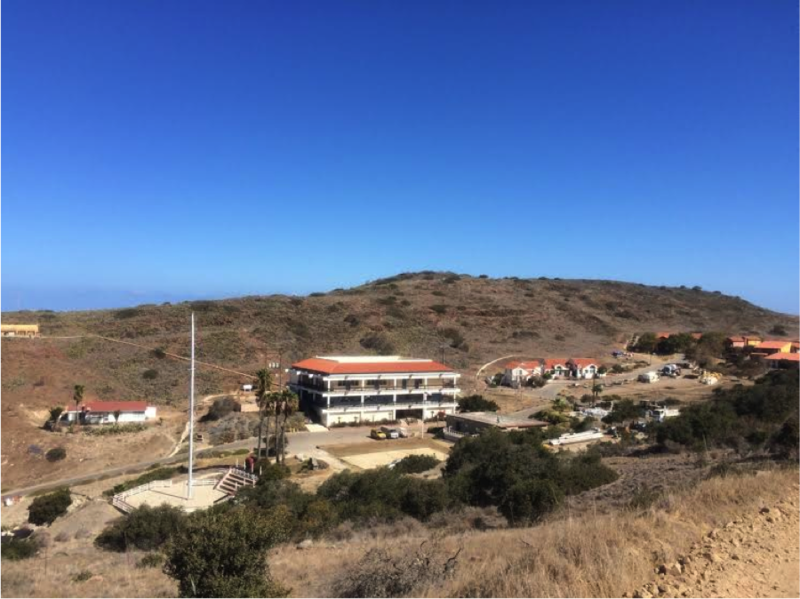 As an intern at the Wrigley Marine Science Center, among my other responsibilities, I help with education groups that regularly come to Catalina Island for a few days at a time. Some groups come as part of a university course, while other younger students come with their high school or home school classes. They spend time snorkeling, kayaking and hiking, and they learn about the island and the life in its waters and fields. 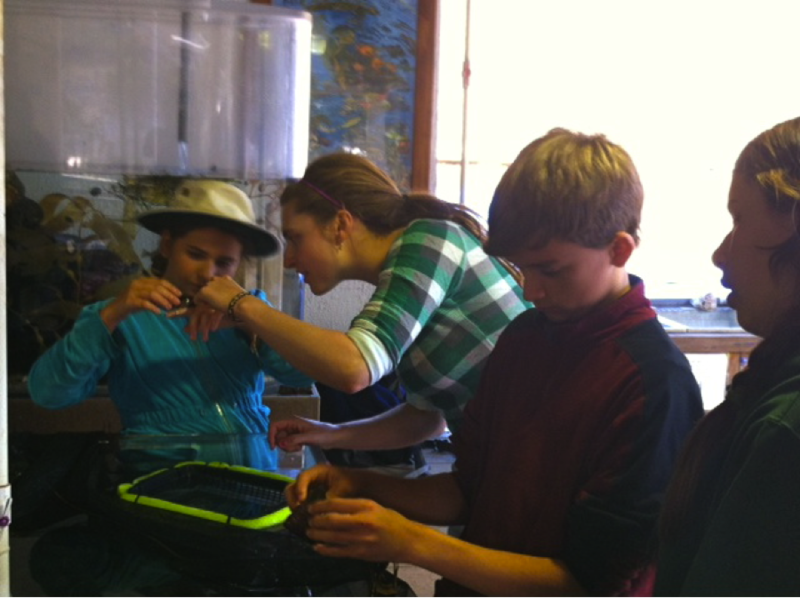 They also usually spend time in the lab area and get oriented to local marine life at the Touch Tanks, where I help guide them through the programs. Before the first high school group arrived for a tour this fall, I thought back to my own high school fieldtrips and mentally prepared for a mass of rowdy teenagers. However, I was caught off guard when they were incredibly focused and curious about everything going on at the Institute – even after a busy day of activities. I wondered if my high school classmates would have listened so intently as I described the research here. I talked about the science projects and the organisms in the Touch Tanks and as students raised their hands to ask questions, I was equally impressed by their inquiries. Before they departed, they even thanked me – with no prompting from their teacher – for telling them about everything. These particular students were taking a year-long marine biology class at their high school and clearly had an interest in science. It was fun to see them so engaged as WIES Educators Lynn Whitley, Lorraine Sadler, and Linda Chilton pointed out rocks and algae while kayaking. I came to the conclusion that Catalina was a fascinating opportunity for them to immerse in what they love, and that these budding young scientists must be destined to do great things. One of my other favorite experiences with these education groups was having a young boy from a home school group explain to me all about rocks while on a hike. I took geology in seventh grade and a few things stuck; however, this pint-sized human was a rock encyclopedia. After taking the group on a hike to the water reservoir, Lynn encouraged the students to look around and take-in their surroundings. I noticed this boy digging, picking up rocks, and inspecting them. I offered some information about the rock types on Catalina and he responded by cataloging all the rocks that filled his small palms. He listed one rock type after another and when I asked who had taught him so much, his answer was that he simply liked learning about geology. I was happy to see him so in his element as he walked around the hill. Interacting with these groups has made me realize that, although the Wrigley Institute is an amazing place for undergraduates, Ph.D. candidates, and marine biologists, it has a profound impact on younger students as well. Some of these students seem destined to become scientists as they marvel at the research and the nature that is here. Watching their reactions, it seems as though our programs help make careers in science like marine biology become tangible, viable options – and as I’ve worked with these students, I can practically see the doors of opportunity forever flung open inside their minds. 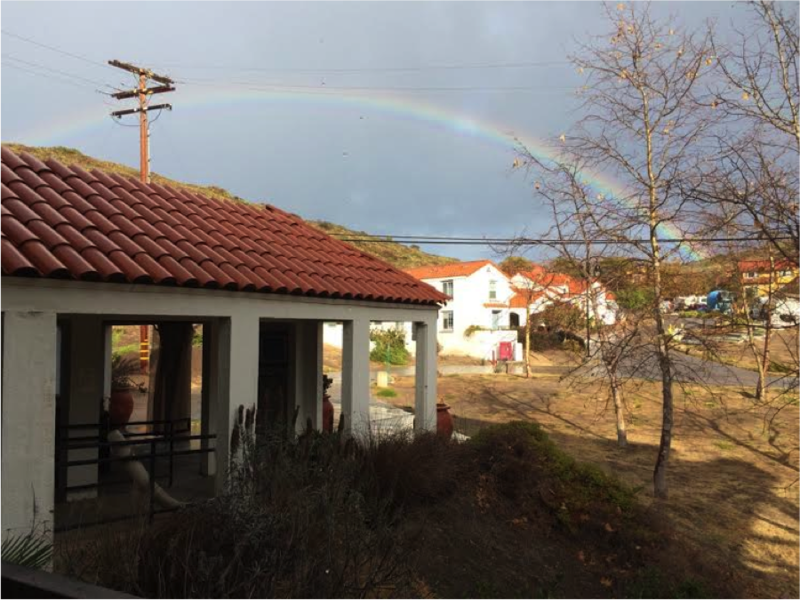 This entry was posted in Wrigley Institute on November 26, 2014 by Jessica Dutton. Back in Chicago, if there’s one thing people complain about, it’s the weather. Only 5% chance of rain? Don’t fool yourself – it will rain. No chance of rain, you say? It mists all day long. The winter forecast predicts sunshine for the first time since July? Put those sunglasses away, because there’s actually a polar vortex bringing five feet of snow on its way. And when it’s finally June and you think you can take your down jacket off, instead an inexplicable can’t-see-your-own-feet kind of fog lingers for weeks. To keep from crying about our vitamin D deficiencies, we joke that there’s always something falling from the sky, even if we don’t really know what it is. Dr. Seuss would have a heyday describing all the different types of precipitation. 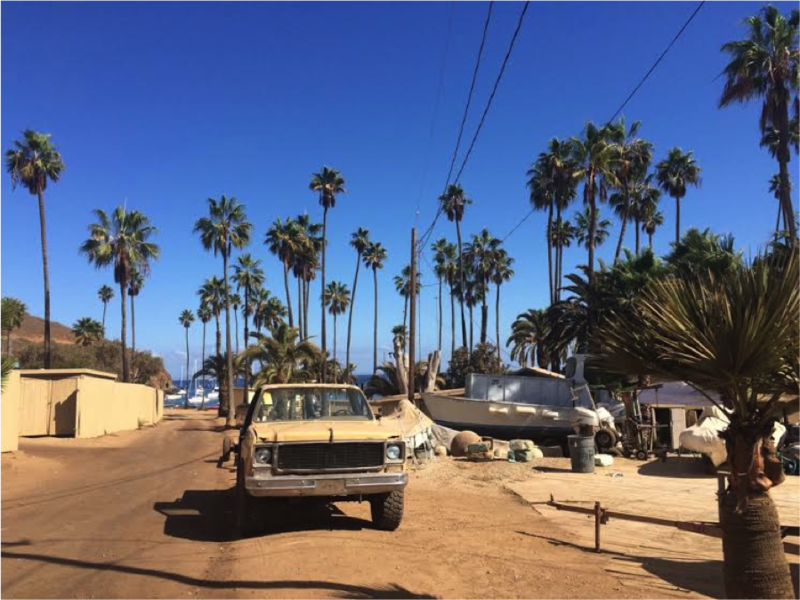 The situation here on Catalina Island couldn’t be more different. Coming to the Wrigley Marine Science Center for this internship, I knew the plight of the West Coast of the United States and I had routinely heard about fire risks as a result of extreme drought. However, the extent of the problem didn’t truly register – I was still trying to dry out after four years in Chicago. The WMSC campus, in need of rain. Here at the island, various measures are taken to maximize all available freshwater. I was instructed only half-jokingly to take “navy showers” and conserve water where I could. Around the lab, I was told about how apparatuses collect condensate from AC units to hydrate water-begging plants. Now that I reflect on the situation, over the last month I’ve been here I hadn’t even seen rain until last week. I can remember perhaps one or two cloudy days – but even that is pushing it. The clouds roll in, stay for half the day and then leave, as if even they have given up on rain. When the forecast announced that there would be rain last week, everyone from the area was cautiously excited as they had clearly been let down before. After all, who can trust a forecast that says there is 100% chance of rain. That’s a red flag. But we ‘rain-proofed’ the Institute before concluding for the day, and I thought about how foreign that concept was to me. Aside from occasionally forgetting your car windows down, in the Midwest we have everything ‘rain-proofed’ at all times because a rogue rainstorm is pretty much expected. To everyone’s excitement, it did rain at the island and we collected every last drop of rainwater that we could. Along with taking rain for granted, people in Chicago don’t worry about water shortages. I still cringe when I see friends back there run the water from their sink as they brush their teeth. Every morning, sprinklers spin around flowering lawns and during the summer children throw brightly colored water balloons at each other. So the concept of collecting rainwater is unheard of. Though there are many environmentally conscious people who minimize the amount of water they use, their actions are based on principles they choose to support, not actual shortages. Here on the island the situation is much more immediate and it is assumed that it is everyone’s responsibility to conserve water. It is unfortunate that this kind of united mentality is often only seen when situations become serious – in the Midwest some people care about water conservation and others could not care less. The old adage “you don’t know what you’ve got ‘til it’s gone” is all too true. People are not roused to change their ways until circumstances constrict them. The little ways in which people conserve water on Catalina Island makes me wonder what state our natural resources would be in if everyone were to do this – with all resources. Rather than waiting for water, wood, and land to become depleted, if we respected them from the start and used only what we truly needed, we could prevent radically changing ecosystems all around the world. Elise Steinberger is a fall intern at the Wrigley Institute, learning more about marine science before beginning her Master’s in Health and Science Writing at Northwestern University. 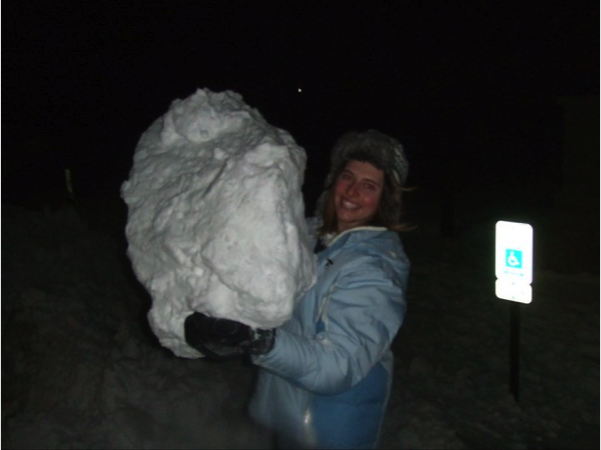 This entry was posted in Undergraduate, Wrigley Institute on November 20, 2014 by Jessica Dutton.